India's Leading Manufacturer & Exporter of Stainless Steel, Alloys Steel and Nickel Alloys. 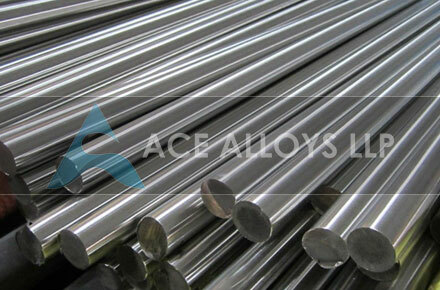 ACE ALLOYS LLP is one of the largest and most prominent 304 Stainless Steel Bars & Rods manufacturer and supplier in India. We are a leading SS 304 Bars Suppliers that maintains a large inventory for sale to our esteemed clientele. We have a proud history of supplying 304 SS Rods to a wide range of industries. Our clients use Stainless Steel 304 Round Bars for applications in concrete footings, walls, beams and for ornamental work among others. The increased corrosion resistance of 304 Stainless Steel Bright Bars permits it to be used in varied industries including construction and electrical sector. Stainless Steel 304 Threaded Bars are a highly demanded product from our range due to its resistance to atmospheric corrosion and many organic chemicals as well as a variety of inorganic chemicals. We supply Stainless Steel 304 Bright Bars are known for its tensile strength, increased corrosion resistance and high fabrication ability. To meet the needs of our clients, Ace Alloys also deliver SS 304 Cold Drawn Bars, SS 304 Polished Round Bars and 304 Steel Black Bar in varying sizes, thickness and designs that fit our customers’ specifications. We supply 304 Steel Threaded Bars, SS 304 Hexagonal Bars, SS 304 Square Bars, and 304 Stainless Steel Flat Bars in various sizes, shapes and specifications to a wide range of sectors because of the high level of quality we offer that benefits our clients. We have complete range of ready for sale stock of the SS 304 Bars & rods along with 304L SS Round Bars to our valuable customer to fulfil their each and every requirement. Contact us for your requirements and we assure you a delivery of quality products that meet national and international standards. Request the latest 304 Stainless Steel Bar Price List. Use the contact button below for 304 Stainless Steel Bar Ready stock information and updated price list. Iran, Argentina, Colombia, Mexico, Africa, Houston, Brazil, Tunisia, Kazakhstan, Vietnam, London, Trinidad and Tobago, Kuwait, Canada, Iraq, Sudan, Israel, Azerbaijan, Turkey, Egypt, Australia, Dubai, Chine, United States, Italy, Saudi Arabia, UAE, Malaysia, Sri Lanka, Nigeria, South Africa, Peru, Indonesia, UK, Germany, Bahrain, New Zealand, Thailand (Bangkok), Jordan, Russia, Venezuela, Ethiopa, Ghana, Uganda, Cameroon, Algeria, Morocco, Mozambique, Angola, Qatar, Yemen, Oman, Lebanon, Cyprus, Johannesburg, Brazzaville, Cairo, Maputo, Lagos, Douala, Tripoli, Mogadishu, Khartoum, Port Harcourt, Antananarivo, Port Elizabeth, Kano, New York, Abu Dhabi, Dar es Salaam, Benin, Kampala, Luanda, Conakry, Rabat, Bulawayo, Cape Town, Alexandria, Fez, Ouagadougou, Mbuji-Mayi, Soweto, Singapore, Dakar, Omdurman, Hong Kong, Zaria, Lubumbashi, Kinshasa, Harare, Abidjan, Yaoundé, Addis Ababa, Giza, Algiers, Accra, Colombo, Kaduna, Maiduguri, Nairobi, Casablanca, Pretoria, Kolwezi, Subra al-Haymah, Durban, Freetown, Bamako, Ibadan, South America, Austalia, Austria, Bangladesh, Mozabique, Myanmar, Netherland, Phillipine, Spain, Jordon. ACE ALLOYS LLP is one of the best Metal Product Supplying and Manufacturing company. 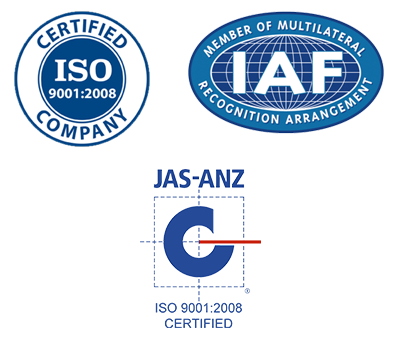 We Export our products throughout the globe. ACE ALLOYS LLP is a leading Exporter of Stainless Steel, Nickel alloy, Duplex Steel & Cupro Nickel alloys along with other Ferrous non ferrous metals in the form of Exotic Special Pipe Fittings, Flanges, Fasteners, Perforates Sheets, Instrumentation Fittings, Compression Tube fittings, Precision CNC components, Sheets, Plates, Strips and custom drawing as per clients requirements. © 2017 | All Rights Reserved, ACE ALLOYS LLP.